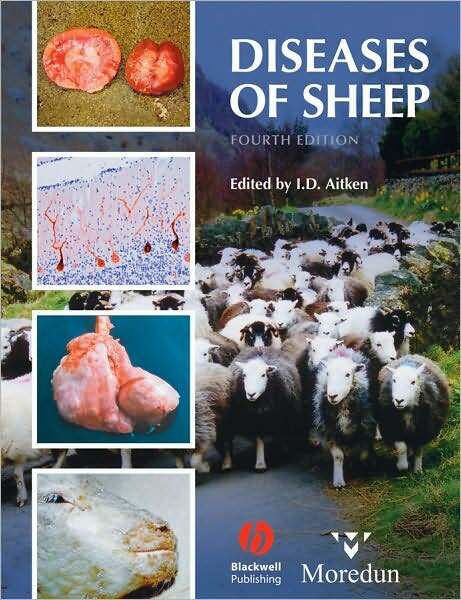 First published in 1983, Diseases of Sheep has become a definitive reference book on sheep diseases. This new edition has been revised and updated to maintain its original core structure and its international approach to the many diseases which affect sheep. Any veterinary surgeon or agriculturalist who works with sheep will continue to find the information in this book the most authoritative and comprehensive available. Special attention is given to specific regional disease problems in the Middle East, Southern Africa, Australia, New Zealand, North America and South America. Known to many as the "Moredun Sheep Book" because of its association with the Moredun Research Institute, long recognised as a centre of excellence in sheep disease research. Covers technical aspects of disease prevention and treatment, including uncommon diseases, as well as sheep welfare issues. Last edited by Motoko; 11th December 2013 at 02:57 PM. Reason: ADD INFO, IMAGE, DESCRIPTION. TEMPLATE. MAKE THE POST.